Executive Job Search Strategies – Job Search for Executives looking to improve their skills to find the perfect new position. 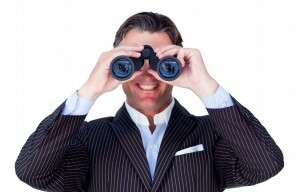 Ready to take a look at your background and goals through a new pair of binoculars? To place you in the job that you really want. So the job hunt is taking longer than you anticipated. What are you going to do about it? Where do you go from here? The second phase to the job hunt process is… recreating your Job Search Strategy to align with your updated Career Coordinates. It’s vital to ‘chart your course’ before driving your jeep over a field of land mines… strategy matters! We provide the job search expertise and motivation to get and keep you going! Have you exhausted all the standard job search avenues? If you're stuck and not sure which direction to turn in next, EJSS will help you figure out new avenues to approach, new career opportunities to go after and new ways to market yourself and build your presence in the marketplace. Is your job search taking longer than you expected? A job search is a process. We help you identify the industries and jobs which give you the highest probability of securing employment. We help you sort out the best options for your career. If the job search process is done with the right strategy and the right target companies in mind, your job search has a better chance of being over sooner rather than later. Not sure where to take your job search next? In Phase 1, we help you reassess where you are now, and more importantly, where you want to go. Once this direction is clearly defined, it's much easier to recreate your job strategy and go after it.